Description	 MS in French and English on paper, France, 1720-1730, 152 pp., 19x25 cm, single column, (15x20 cm), baroque notation of 89 compositions on 6 staves, text in cursive script. Binding	 France, 1720-1730, green vellum, sewn on 3 thongs. Context	 A similar manuscript in Bibliothèque Nationale de France (MS. F-Pc Rés. 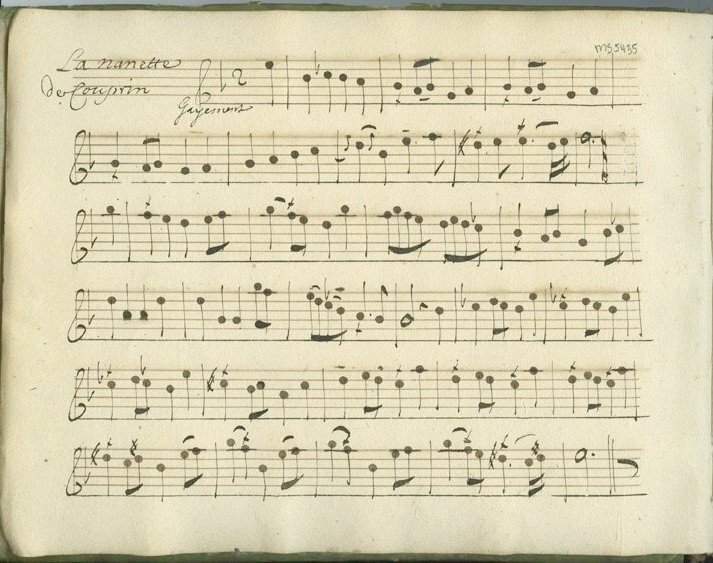 F. 1059) has 16 of the Couperin pieces in this MS arranged for two flutes, and taken from the same two collections of 1713 and 1717. Provenance	 1. Quaritch cat. 1390 (2009):15, acquired Dec. 2009. 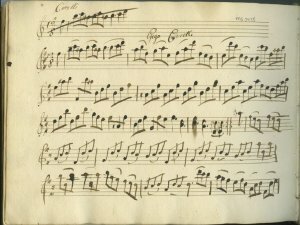 Commentary	 The 25 pieces of Couperin (1668-1733) are taken from his first two collections of harpsichord music, which appeared in 1713-1717. In each case only the right hand of the harpsichord piece has been transcribed. 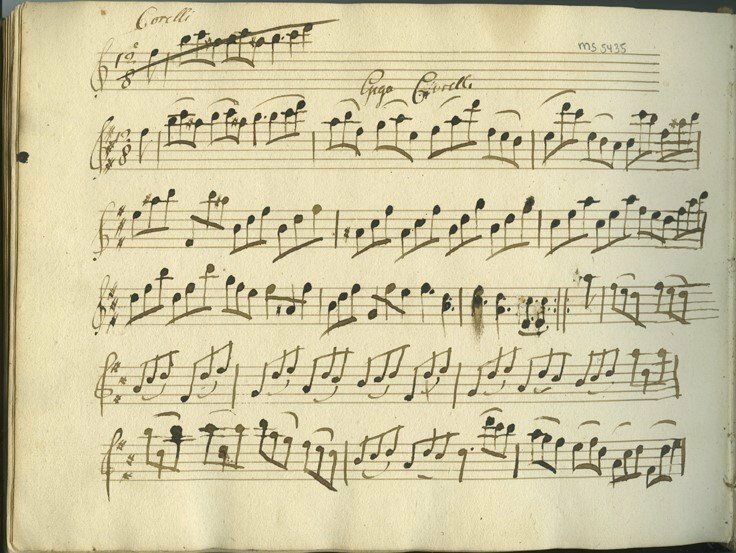 The Italian baroque composer Corelli (1653-1713) is unusual in such a collection. The 10 further pieces at the end are in several slightly later English scripts. A sheet pasted onto the rear inside cover contains the printed son "Daphnis and Chloe. A new son" for voice and basso continuo which is unrecorded.